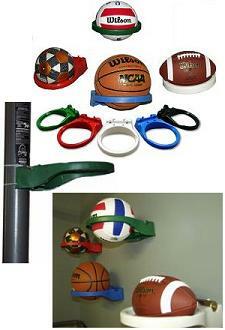 Product: HoopScoop Ball Holder For Basketballs, Footballs, Soccer Balls, or Volleyballs. 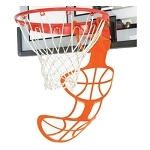 Fantastic Hoop Scoop goal post/wall mounting kit. 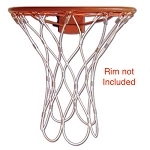 Safely stores any official size volleyball, basketball, soccer ball or football. Spend less time searching for your sports balls. Great for keeping them off the grass and away from the sprinklers where they can easily warp and wear out. Easily attaches to goals posts or walls. Package weighs about 4 lbs. Package dimensions: 15 in. x 12 in. x 4 in. *Note - Available in white, black, blue, green, & red. Very Nice. Perfect Item. Thank You.